Kalyna helps women around the world to build careers they love. She's the founder of Kickstart Your Work, TEDx Speaker and a global explorer. Kalyna is the Founder of Kickstart Your Work, an onstage storyteller and global explorer. She has dedicated her life to helping women love the work they do. Kalyna has coached over 1,500 hours with clients in 20 countries around the world. She specifically supports women to take their work online so they can work from anywhere while delivering value to clients. Kalyna started her first business at 19 years of age, doing digital strategy in her dad’s backyard by the pool. She loves storytelling both on and off stage and most recently spoke at UCLA and TEDxWLU about how to navigate career building while focusing on what feels good. She’s been traveling full time since 2014, visiting over 25 countries so far and living in Aruba, Brazil, the US and of course Canada her home. Kalyna has a blast running a completely location independent business and believes feeling good while at work needs to be the new normal for everyone. In her free time she loves yoga, Brazilian dance, trying all sorts of foods and searching for the world’s best hammock on the beach. Kalyna is passionate about mentoring and giving back to young girls. She remembers the experience of feeling like she didn't belong at school and knows that supporting a grassroots initiative near home is the start to impacting young girls globally. She donates her time and a percentage of Kickstart Your Work's sales to Girls Inc., to support girls having the positive role models that she believes make all the difference for youth. Kalyna's mission is to spread the message that we can choose to enjoy our work as a key driver in order to produce an impact on others that is meaningful and based in love. Success! The Success Trifecta sold 523 pre-orders by Nov. 15, 2018, was pitched to 146 publishers, and is in discussions with publishers. featuring weekly group coaching calls to give you hands-on training on becoming a Free Agent. hands-on training on becoming a Free Agent. success trifecta or how to put the 5 steps in action in your career. $5000 Build Your Own Trifecta in Thailand! The new way to work: choose how you spend your time, enjoy what you're doing and get paid for the impact you make. This book is about changing the way we define work entirely. This is a critical read because it will teach readers how to define their careers based on choice, enjoyment and impact to bring a new world where we serve rather than “do out of obligation.” The new way to define work is to call it your contribution and once we can get that distinction straight, we will build a happier, more alive workforce globally. I hope for it to be the reference guide that you'll pull out before making career decisions or going into high stakes work scenarios like interviews or signing a new client. It starts out by questioning the way we traditionally think about work and expands the possibilities of how to construct a career that you enjoy building. This is different from the "follow your passion" careers book because it gives a breakdown of how to make decisions you're going to be happy with during the key events that shape your career often without you consciously realizing it. This is the difference between starting your own company and staying in a job you hate for the entirety of your twenties, and maybe thirties. It's about making the decision to apply to that new manager role instead of just leaving the company because you feel unfulfilled. We'll discuss how to sign up a new client or price your services. Our careers are shaped by a series of micro-decisions that cumulatively dictate where you end up. With that knowing, this book helps you build your own success trifecta through deciding what micro-decisions are right for you. First we define what a success trifecta is, and then move into how to build your own step by step through answering key questions that come up along the way to building it for yourself. What is a Success Trifecta? The new way to build your career is using a foundation of choice, enjoyment and impact. This new model has emerged because we're all starting to demand the freedom to choose how we spend our time which is the first pillar. Selling our lives to passionless work until retirement doesn't cut it anymore and once the reader is shown that work is better (and more productive) using enjoyment, we move onto the third pillar, impact. Connecting to impact is important in all that we do, but many dissociate from this idea when it comes to their work. It's so easy to focus on the raise or job title, and forget the reason we're working in the first place. Impact is about consciously deciding what impact you want to have on the planet. We consider the age old question of what you want to be remembered by on your death bed and then move onto the new territory of actually eliciting how a career can be formed from our personal insights about what we care about. Once the trifecta is explained and there's reader acceptance we define what their personal trifecta looks like as a free agent. A free agent is an individual who has merged their desire for freedom at work with the commitment to independently create their own version of The Success Trifecta. They work in order to fulfill their personal mission of making a meaningful impact in the world through what they do every day, not just for a pay check. The reader will now create their own version of the emerging success trifecta: designing their ideal work experience, defining what they enjoy doing daily and deciding on what they want to contribute to the world over the span of their career. So how do you bring your success trifecta to life? This is the bulk of the book and is scenario based where readers will return again and again depending on the current career decision they're facing. 1. What have you chosen so far? 2. Why make a change now? 6. What does your heart say? 3. What do you want to create? 5. Why does creating new things matter? This book is for 3 main target audiences. Broadly it benefits anyone who is working and wants to take control of how they build their career going forward. Firstly the book will benefit aspiring or current entrepreneurs who are looking to build their businesses within the current gig economy. The majority of the U.S. workforce will soon freelance to make a living. At the current growth rate it is predicted that we will reach this milestone by 2027. Looking at market size and viability of success in this career transition: "Among the 17.2 million who said they quit a traditional job to freelance, two-thirds said they earn more on their own." The first focus is aspiring entrepreneurs but a secondary target audience is anyone who is a corporate employee and wants to build their personal career trifecta. The book talks about how to position yourself and your services which is a necessary skill for job acquisition. Employees benefit from this step-by-step guide because the book shows them how to define what each pillar of the trifecta is for them in their career and teaches how to implement enjoyment and impact into their new way of approaching their work. The working audience of the United States alone is roughly 129.6 million. Lastly, this guide is beneficial for educators at the college and high school level who would like to deliver a structured approach to learning and navigating a new way of career design within the currently developing gig economy. The existing careers curriculum is limited in schools around the world. The goal with this audience is to initially pilot the book in careers classes as a supplement to standardized assessments. This is a customized approach to career design that students will benefit from being exposed to. The Canadian and US audience for high school students are cumulatively around 5 million students. The power of word-of-mouth is that it will fuel the initial momentum needed to launch this book. 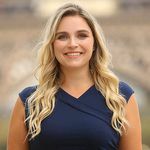 People who have a level of personal connection with Kalyna will passionately share how dedicated she is to leading by example. Kalyna defines the life of a free agent herself, as she works to help women achieve similar heights in their careers. Kalyna is committed to personally reaching out to 20 people per day to share about the campaign, the concept of the Success Trifecta and spreading the message of the importance of this concept. Sisson's book covers the tactical elements of being a digital nomad in a way that shares the author's step by step process to running an online business to minimize work hours. The Trifecta is different because it focuses on finding the subject matter and business model that will transform your work into your global contribution. The Trifecta's focus shows readers how to make the change from "working to live" into "working to contribute" and that is what makes it unique. This book highlights the steps to being a freelancer that have to do with the nitty gritty: taxes, retirement savings and setting up your office. 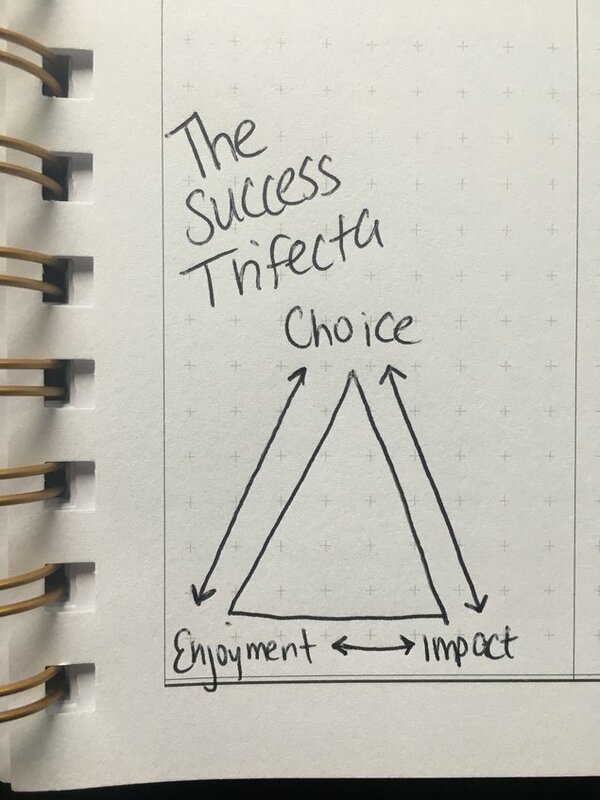 The Success Trifecta is unique because it defines a new way of approaching work that transcends a job title and focuses on staying in alignment with one's bigger contribution to the world at every step of the client attraction and business building process. This book inspires readers to look beyond corporate to building their own business. The Success Trifecta goes beyond corporate or business and defines how to take control to maximize your work opportunities no matter what the formal work format. The free agent builds their work life to incorporate elements of themselves rather than building a business to make money to live a lifestyle that is enjoyed outside of "work hours." The Success Trifecta is a manual that asserts that an hour is an hour and one should spend each one intentionally - work shouldn't be minimized to four hours per week. Free agent's know that work means contribution and that's a meaningful way to spend their time to deliver value in the world. This book shares practical insights and is about becoming independent through a great escape from the big bad corporate wolf into the promised land of entrepreneurship. A common theme amongst freelancers and entrepreneurs, corporations have gotten a bad rap. The Success Trifecta doesn't vilify corporations, and rather sheds light on how to choose to interact with them (or not) in a way that makes sure you take care of yourself as an individual first. About Sourcebooks - an independent vision We are a company bound together by the idea that Books. Change. Lives. For us, it means a passion for books and a dedication to the belief that books change lives. It means innovative publishing, where every book is personal and every author’s voice has a place. And it means not being afraid to say “I don’t know” and forging a new path when we have to. We are a group of passionate, energetic and enthusiastic book lovers, and we are committed to helping readers experience each book. Thank you for being a part of our story. Black Rose Writing is an independent publishing house that strongly believes in developing a personal relationship with their authors. The Texas-based publishing company doesn't see authors as clients or just another number on a page, but rather as individual people... people who deserve an honest review of their material and to be paid traditional royalties without ever paying any fees to be published. Black Rose Writing, established in 2006, features books from an array of fiction, non-fiction, and children's book genres, all having one thing in common, an individual's originality and hardship. It can take endless hours to finish a deserving manuscript, and Black Rose Writing applauds each and every author, giving them a chance at their dream. Because Black Rose Writing takes full advantage of modern printing technology, the company has an infinite print run via print-on-demand services. Black Rose Writing's success with their authors is due mainly to their many lines of promotion, (examples: showcasing book titles at festivals, scheduling book events, flexible marketing programs, and sending out press releases and review copies, etc.) and they provide a broad distribution (Ingram, Baker & Taylor, Amazon, Barnes & Noble, and more...) that larger book publishers also reach. We are proud members of IBPA (Independent Book Publishers Association), a recognized ITW (International Thriller Writers) publisher, members of Publishers Marketplace, and currently serving on the Ingram Publisher Advisory Board. 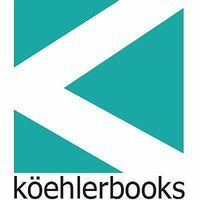 Koehler Books is an Indie publisher based in Virginia Beach, Virginia. Our team of dedicated professionals promises you a holistic publishing experience where you'll receive our full attention, collaboration and coaching every step of the way. We offer two publishing models: a traditional non-fee model for the highest quality work, as well as a co-publishing model that includes creative development fees for emerging authors. Koehler Books offers you tremendous value, worldwide distribution channels and superior marketing guidance. Our authors span nearly every continent and every region and state in the US, and are consistently recognized nationally and globally for their work. Our titles are broad based and include nearly every major non-fiction and fiction genre. Books have changed our lives and we believe that Mango books should be instruments of change, inspiration and entertaining. We publish books, eBooks, journals, and workbooks covering new ideas and pursuits across a global range of interests and passions. Mango authors are experts in their fields, are creative and marketing geniuses, and know how to share and socialize their ideas. Mango authors are our partners in publishing. Together, we produce great books to help build authors’ brands and long-term success. Sunbury Press, Inc., headquartered in Mechanicsburg, PA is a publisher of hardcover, trade paperback, and eBooks featuring established and emerging authors in many categories. Sunbury's books are sold through leading booksellers worldwide. Assistance with Book Signing Events, Author Central, Goodreads, Author Blogs, etc. BBL Media & Publishing helps writers realize their dreams of sharing their message with the world. We blend the best aspects of traditional publishing with the creative control and speed to market of self-publishing through our Hybrid publishing company. We are also one of the few who specialize in publicity and marketing, which starts long before your book is published, and continues for the life of our partnership. We’ve put together a team of seasoned writing, publishing, editorial, design, and book marketing experts who believe in partnering with authors to bring messages that matter to the world – using the highest standards in the industry. A proud member of the Independent Book Publishers Association, BBL Publishing is a Hybrid Publisher focusing on the Health, Wellness and Spirituality genre, both fiction and non-fiction. We partner with our authors to bring the best possible book to market and work closely through the entire process of manuscript development, editing, titling, design, author platform development and book launch. This partnership allows for some reduced upfront costs for you, the credibility and global distribution that self-publishing does not offer, with the flexibility and speed-to-market that traditional big publishing houses cannot provide. As a hybrid publisher, we assemble our select team of professionals to work hand-in-hand with our authors based on the type of project and overall goals of the book. Unlike many publishers, we select only a handful of projects each year . We empower authors to be marketed properly. We've produced award-winning authors and we believe in the power of #Collaboration Publishing is about shaping up happy authors for the next generation. We have partnered with award-winning hosts specifically for Christianity, Faith-based books; Fantasy, music, Young adult and romance; Sports, Business and Political books. Are you a professional who is struggling to stand out in an increasingly crowded market? Are you ready to take your place as a leader in your industry? 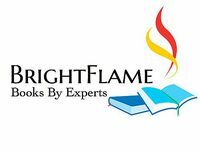 BrightFlame Books was set up with one key purpose: to help experts like you get your message out into the world, increase your impact, and ultimately, grow your business. Our vision is simple: to create lasting transformational change in the world through you, our author-experts. The brainchild of six-time international bestselling author Rob Cuesta, BrightFlame books focuses on titles in the areas of business, entrepreneurship, personal development, success psychology and mindset, health, and lifestyle. Wherever you are in your publishing journey, we can support you. 1) If you’re just starting out, with a concept for a book but struggling to turn it into a manuscript—either because you lack time, you’re “not a writer,” or for some other reason—our collaborative writing approach pairs you up with a professional co-writer who will become your partner in taking the ideas in your head, ordering and arranging them, and creating the book you’ve been dreaming of writing. 2) If you’ve finished your manuscript and you need help in getting it published then, as a full-service publisher, we transform your draft manuscript into a beautiful finished book. Our editors edit and polish your words, then our creative team turns it into a professionally designed finished product, inside and out, that presents you as the thought leader and industry leader you are. 3) Once your book is published, as a marketing consultancy we specialise in turning you into a bestselling author by orchestrating launch campaigns to drive sales and awareness of your book internationally, and creating book-based lead generation and client acquisition campaigns that turn your book into a powerful business development tool. Write, Publish & Market Your Book to Build Your Business & Brand. Author Joshua Evans, Went from a Salesman to a # 1 Bestselling Author & paid Speaker making $12,000 per speech. Become a Bestseller! Over 50 Authors have become #1 Bestsellers with Elite Online Publishing. 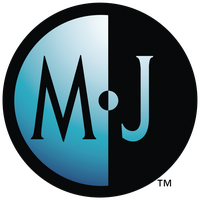 Owners Melanie Johnson & Jenn Foster are both 10x Bestselling authors and have published over 1700 books authored under their own imprint on Amazon. We are experts at MARKETING your story. Prensa Press a boutique publishing house and creative studio with a mission of working with passionate writers, chefs, artists, architects, designers and dreamers to help craft their stories and bring them to print. We are a small team located between Mexico City and Chicago that is selective in the projects that we take on to ensure each client has our entire focus. We are flexible in our approach to each individual project and like to take risks, experiment in new mediums and techniques and tell each story in its own unique fashion. Prodigy Publishing Group was founded in 2009 and has been steadily publishing distinguishable trade paperback fiction since. Its flagship imprint Prodigy Gold Books is spearheading its journey with a fall 2017 line up that includes four novels by four authors sure to delight readers. Prodigy Gold Books is dedicated to publishing a variety of must-read books on a wide array of topics and genres. Our mission is to showcase established voices and to introduce emerging new ones—both fiction and nonfiction genres. The book business is a difficult pursuit. Especially for an Independent writer. The decision to go it alone and self-publish, or go with a small press is strictly an individual business decision. Hiring professional freelance resources like editors, cover designers, and formatters can be daunting enough. Let alone that dreaded marketing and promotion. All of that takes precious time away from what you could be doing. Writing! With an experienced Literary Agent, award-winning Author, publicist, and publisher like RJ Parker, you don't have to do it alone. RJPP offers years of success and reputation to represent you and your work. Ask yourself, “Do I want to succeed? Is my book worthy of reaping all it is worth and then some?” If you take pride in your work and want to excel to the top, RJ Parker will implement his years of knowledge and skills learned as an industry leader in marketing to get your work into the hands of the people who matter. What about the nitty-gritty financial workings? We don't pay advances as a traditional firm does. (which in this business, an advance is used against royalties before you get paid) BUT, we DO pay a much higher royalty rate AND you get paid every month! The standard industry royalty rate is 12-16%. We pay 50% to established writers, and 40% to new authors. (New authors will pay a setup fee of $2500 to cover costs). For the majority of authors, we pay the cost of editing, cover artist, ISBN number, formatting, etc. If you are looking for mediocrity or status quo, RJ Parker may not be a good fit for you. However, Parker is a go-getter in the industry who will not cease until he makes your dreams become your reality! We've now worked with 250+ authors. Colborne Communications is a professional editing and publishing services company based in Toronto. Since 1977, we have been providing editing, writing, proofreading, indexing, and research services to a variety of individual, corporate, and government clients, including all of Canada's major publishers. Bestsellers are great. Long-term sellers are even better. We'll help you do both. 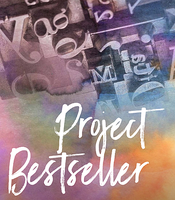 Project Bestseller is about creating bestsellers. More importantly, it’s about building author platforms and long-term success. We’re building books that sell well over time, generate income for their authors, and create a lasting impact for their readers. A deeper answer is: with strategy, curiosity, and intense passion. Why? We believe good books should sell. If you're like most of our clients, you have a big vision for your book. It represents you. It says something about who you are. Now you’re ready for it to start touching lives. You can probably think of half a dozen books that have become part of the grain of your life, because they gave you exactly what you needed at the time—whether it was a feeling, an experience, a different perspective, or just the information you needed to unlock your next possibility. Now it's your turn. We can help you impact your readers with your book. It's what we do. 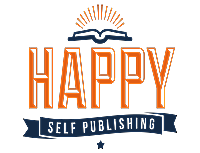 We've been helping authors finish and publish their books since 2012. Services include: ghostwriting, editing, cover design, book design, formatting, publishing guidance, launch planning, marketing. Everyone dreams of a career that not only gives them a paycheck but is also fulfilling. This book will help you identify what that career is and how to go after it. Together, we’ll get honest about what truly brings you satisfaction. I’m writing this book because we have all been sold a dream of a career that will make us happy and fulfilled. But then, we feel at odds when on vacation from our stressful jobs and we see the man selling towels on the beach who seems like the happiest guy in the world. Where is the disconnect? What are we aiming for? Whether you’re developing software in Silicon Valley or creating art in Vienna, we’re all looking for that joyful experience of enjoying our work. What if that was possible while making money? Do you ever dream about it? What does it look like to you? I’ve dedicated my life to making this dream come true, and helping others do the same. What do you value? What are the feelings that you want to feel every day? We’ll get to revealing all of your stuff as this book takes you on a journey. My goal is to help you feel safe and confident enough to declare what you love to spend time on. Once you know what your ideal life looks like, I will help you find the place where you belong, and where your contributions are recognized. This is a 3-part journey. First, we’ll look at what success feels like to you. Everyone has their own version of the word and understanding what success is for you is the first step. Next, you’ll make a few choices in order to build your own version of success at work. We’ll sort out what would be fun to spend roughly 100,000 hours on over the course of your life. Third, we’ll set you up to bring your trifecta to life one action at a time. Success is such a deeply personal thing. It means one thing to me, another to you and probably something entirely different to our parents. One thing that always seems to remain is that success is linked to money in our society. Money often means safety to us, a sense of security and once our needs are met, it means freedom. The success trifecta is based on the idea that you’re going to make varying amounts of money over the course of your life no matter what you choose to do for work. The amount of money earned by profession is different, but you’ll make it. So, instead of allowing money to be the main driver from a traditional standpoint, we’re going to start with what you like to spend time doing and then find ways those activities can bring you the income you would consider “successful.” You can be an amazing artist and make more than a terrible dentist. No job comes with any true guarantees and it’s really going to come down to how much of your attention and focus you place on being of service to others. This book defines success based on three factors: choice, enjoyment and impact. Choice means having the freedom to choose how you spend your time. It means being deliberate about what you focus on. The trifecta is based on the idea that we need to choose our work environment and responsibilities carefully so that we’re not blaming others when we hate what we’re doing day in and day out. In this part we’ll take a look at where you’re at, where you want to be and most importantly what’s holding you back from that vision of your life. Then you’ll make the choice of whether or not you want to continue to build this new career model for yourself, or stick with how you’ve been doing work so far. Enjoyment doesn’t just mean fun and being carefree. It doesn’t mean that as someone who coaches and helps others to build careers they like, that I don’t have moments where I feel stressed to get something done or like it’s serious work. en·joy·ment: to have for one's use or benefit, to take pleasure or satisfaction in. Sometimes, I gain satisfaction in creating a solution to a seemingly impossible situation. Sometimes I’m satisfied working from my bed. Other times I want to be around lots of people. Enjoyment changes, is situational and we can derive it from slight changes to our current situation. This book isn’t here to tell you to jump from the lifeboats and leave your stable job just because it’s the cool thing to do. In the enjoyment section you’ll discover what the word means for you and actually build out the terms of your career so that you’re happy with it. That might mean staying exactly where you are and tweaking a few things, or maybe you do need to pack your bags and fly to Shanghai. Either way, this section will help you get real with yourself about what you actually care about. The last piece of the trifecta, on impact, is where we’ll focus on your contribution to others. Once you’ve sorted out your non-negotiables, are taking care of your needs, then you’re ready to help other people. Knowing clearly what you want to create in your career is the difference between people that are constantly complaining about work and those that are finding solutions and creating new things, even if it’s not in their job description. This is where we’ll talk about ideal receivers of your work, delivering your work to make the most meaningful impact and yes, how to get paid for doing the stuff you like doing. Why not skip to the last part? Well, you could. I often skip to the parts of the book I want to read. Sometimes I skip sections altogether because they seem unimportant to me or I don’t think they’ll help me with where I’m going in life. I can totally see how moving straight into the money making might seem like the efficient thing to do, but what I’ve found is that the information I’m resisting (skipping over, criticizing, calling “irrelevant”) is often the stuff I need to be reading the most. You’re going to get more from this experience if you come along for the entire ride. The choice is yours, but I invite you to read along with me and bring a journal with you to record your thoughts. The most important elements of this book are actually the answers you’re going to generate from the questions that are asked throughout it. I'm writing to fill you in on what's happening with me, and The Success Trifecta. I'm so pleased to announce that because of your support, The Success Trifecta hit 523 copies today. I wanted to check in on how things are going with the Success Trifecta so far! We're at a great point reaching 150 pre-orders but we haven't hit the goal just yet! Dropping in for another quick update to share that we're at 100 orders! I'm in awe and so grateful for your support of The Success Trifecta in its' early stages! on Oct. 16, 2018, 2:52 p.m.
on Oct. 16, 2018, 8:28 p.m.
on Oct. 18, 2018, 12:49 a.m. Looking forward to reading your book. Congratulations! on Oct. 18, 2018, 1:37 a.m.
Kalyna, this project is amazing and SO NEEDED on planet earth at this time. Thank you for the stand you take, and the transformation you create. I am grateful for your vision. Wishing you the BEST success in this endeavor and all others! on Oct. 18, 2018, 2:39 a.m.
Wow such beautiful words and support. We're a day into the campaign! I'm in awe and so grateful for you ladies and everyone who has supported so far. This mission of spreading the new way to work on our terms is much bigger than me and our collective support of it shows the power of community! Thank you thank you thank you to each and every one of you!! on Oct. 18, 2018, 3:07 a.m.
Best of Luck on the new book! on Oct. 18, 2018, 4:16 p.m. I hope everything works out for you, you deserve It buddy!! on Oct. 18, 2018, 7:27 p.m.
on Oct. 18, 2018, 7:40 p.m.
Congratulations, Kalyna, on your wonderful success as an author and global transformational leader! I look forward to your book and your great work! on Oct. 18, 2018, 11:08 p.m.
on Oct. 19, 2018, 2:40 a.m.
Best wishes Kalyna, I look forward to getting your book! on Oct. 19, 2018, 5:07 a.m. So excited to see your work Kalyna! on Oct. 19, 2018, 5:15 p.m.
Can’t wait to read my copy! on Oct. 20, 2018, 12:19 a.m.
Congratulations Kalyna! Can’t wait to read it! on Oct. 20, 2018, 4:06 a.m.
Lady you have been a changing force in my life. I've ordered 5 and I am gifting 4 to some ladies in need of empowerment. Love you and all that you do! on Oct. 24, 2018, 1:09 a.m.
You're radiant! I trust you! Global!!!!! on Oct. 24, 2018, 9:39 p.m.
Good luck to you. Spreading good karma is what it is all about. on Oct. 24, 2018, 10:52 p.m.
Good luck to you. I look forward to reading the book and was recommended by Augi D.
on Oct. 26, 2018, 3:05 a.m. I can't wait to read this book Kalyna. You are an impressive visionary with the special gift for spelling out how to get there from here! Best to the best, Leanne! on Oct. 26, 2018, 9:59 p.m.
on Oct. 28, 2018, 4:46 a.m.
on Oct. 28, 2018, 5:13 a.m.
on Oct. 28, 2018, 5:48 p.m.
Kalyna - you are AMAZING. All your love and kindness will be felt and appreciated globally. on Oct. 29, 2018, 7:10 p.m.
on Oct. 30, 2018, 1:17 a.m. Awesome so happy for you Kalyna! on Oct. 31, 2018, 3:28 p.m. Excited to read your book!! on Oct. 31, 2018, 5:56 p.m.
Can’t wait to read it!! Keep up the great work!! on Nov. 4, 2018, 12:35 p.m.
on Nov. 5, 2018, 2:01 a.m.
on Nov. 6, 2018, 3:26 p.m.
Good luck! Wishing you all the success!! on Nov. 6, 2018, 11:37 p.m.
on Nov. 9, 2018, 3:59 p.m.
on Nov. 10, 2018, 2:07 a.m.
on Nov. 13, 2018, 2:40 p.m.
Amazing work! I'm your 100th reader -- keeping going! on Nov. 13, 2018, 5:36 p.m. Thank you so much to all of you for supporting my work and this book! on Nov. 14, 2018, 12:38 a.m.
on Nov. 14, 2018, 3:31 a.m.
on Nov. 14, 2018, 4:57 p.m.
on Nov. 14, 2018, 11:26 p.m.
on Nov. 15, 2018, 2:25 a.m.
on Nov. 15, 2018, 6:22 p.m.
Good luck powerful woman!! I cannot wait for your book launch and for you to come here to Cal and host a huge talk!!! on Nov. 15, 2018, 9:06 p.m.
WE DID IT!!! :-D Thank you to everyone who contributed to the campaign - this is epic and completely life changing. I really appreciate all of your support!